Chris Nolan eat your heart out. 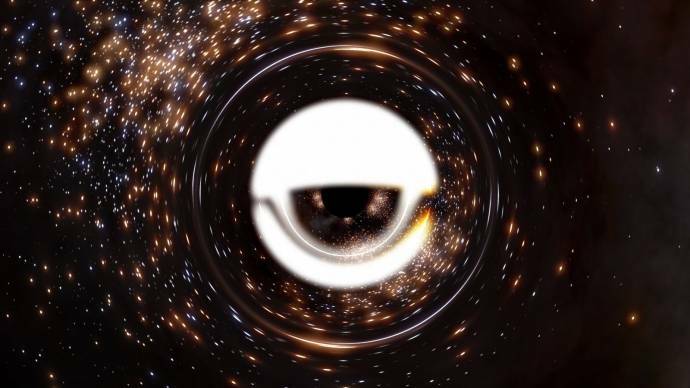 The makers of Interstellar have been bragging how realistic the black hole in their movie is. They just got trumped by SE. Christopher Nolan, the director and co-writer of Interstellar, and Paul Franklin, the visual effects supervisor, were committed to make the film as scientifically accurate as possible—within constraints of not confusing his mass audience unduly and using images that are exciting and fresh. A fully realistic accretion disk, Figure 15c, that is exceedingly lopsided, with the hole’s shadow barely discernible, was obviously unacceptable. I am not sure if the acceleration disks are not implemented fully within the latest 0.9.7.4 (7) patch. Whenever I travel to any black hole, it seems that it is the same. Can't go inside it, and do not see any acceleration disk effect. 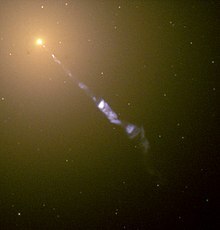 Also, stars that are near orbit of the black hole, are not being warped and "hidden" behind the black hole. It should also be noted that I deleted my Space Engine 0.73 folder and started fresh. Downloading SE 0.72 (Launching), patching to 0.73 (Launching), and patching to the latest 0.74 (Launching). Accretion disks have been a very buggy hidden dev feature since 0.9.7.2, but they haven't been working anywhere near well enough to enable, and development on them was seemingly stagnant until now. how does auto-exposure works with the new black hole? does it behave like a star or changes nothing in the exposure? How big will accretion disk's be? I think for a small effect is this hidden feature okay. Maybe if for white hole, then I do not know if it's like that in reality but I have seen SpaceEngineer and that white hole are the opposite of black hole (and future), it I think just enough to reverse the black and white by the red (inside) / blue (outside) of the black hole in blue (inside) / red (outside) (I hope you have understood the meaning red / blue - > blue / red, it is Doppler's effect). We imagine, for example (DoctorOfSpace will recognize her and other mod the Interstellar movie but it's just for an example) 2 wormholes, toward Saturn (Wa) and another to Garguanta (Wb). ), for now we will say that this is the easy part. But wormholes are the same as the black hole red / blue (Doppler effect), we will say that it's the same for simplicity, finally, the "texture" of the wormhole will be a little red with this. Following is what teleportation is instantaneous, or as in the film Interstellar there a while before joining Wb not to mention that there's wormholes are located at the same time but it's good because I imagine the to temporal holes, oops, already certe it will be "a little" complicated coded but after that it should work properly. In short there after coding, I know nothing but I hope it'll help. Talking about that DoctorOfSpace, you will not need to use the "star accretion disks" to Garguanta ^^. There aren't going to be any wormholes or white holes. White holes are a theory to which evidence hadn't been found, and "actual" worm holes are also just a theory and are supposed to be smaller than an atom. I would like this answered along with another question. I'd be completely in favor of artificial wormholes as a mechanic in some future version. Particularly if SE becomes an MMO, setting up a wormhole network would be good for getting routine missions places without having to slog through hyperdrive mechanics for every ship.